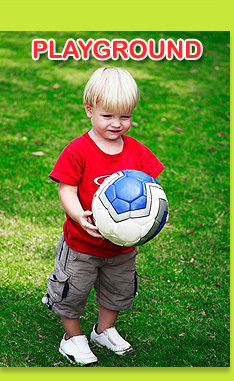 We provide full time care for children from 3 months to 5 years. We also provide Pre-school sessions for children from 3 years to 5 years. These morning and afternoon sessions are 3 ½ hours long. We have fully equipped outdoor Play Area. Our rooms are thermostatically controlled. Internet Viewing Service Available soon, this will allow you to view your child live from your desk-top pc. Car park outside Crèche with drop off and collection points. At Little Miracles Childcare, we understand how important a well balanced diet is. We offer a wide variety of foods from the different food groups. There are no great excess or deficiency of any nutrient. If a particular nutrient is not in one particular food, we will try to have in another. We provide highly nutritious and well balanced meals. We prepare our Breakfast and Tea-time meals on-site in our purpose built kitchen. We vary the meals and use foods of the highest quality. We try to ensure that we have a variety of different tastes and flavours. Our Lunch-time meal is provided by a food manufacturer who is registered with the Health Services Executive. Only quality ingredients from reputable, HACCP compliant suppliers are used. Palatable, wholesome and varied meals are provided for. A pre-planned menu is available at the beginning of every month. In addition to our standard menu, we provide non beef and vegetarian menus and we cater for specific dietary requirements where possible. Mealtimes are fully supervised to help us provide a safe and relaxing environment where your child can enjoy their meals in a relaxing atmosphere. We operate a strict security & safety policy here at Little Miracles. We have a controlled entrance and intercom call station to help us keep control over who enters the building. Detailed enrolment forms are to be completed by every parent, detailing information on nominated contact persons. This enables us to know who may be collecting your child other than yourself or partner. All rooms are child friendly and are designed with your child’s safety in mind. We have raised door handles, sockets and switches. Our under-floor heating system eliminates exposure to radiators. All accidents / incidents that happen on site are recorded and reported to parents. High standards of Hygiene and cleaning practices are in place to ensure that contamination and spread of bacteria is kept under control. Our outdoor play area is equipped with a range of toys and play equipment to allow your child to benefit from lots of physical exercise. Weather permitting, we encourage outdoor play as often as possible, where your child can run around and get plenty of fresh air, while having lots of fun too. We also maintain our staff / child ratios in the outdoor play area. © Little Miracles Child Care-2009, All rights reserved.